The German Bundestag was formed in 1815, and the first organization of such a government lasted until 1848. The federation was renewed in 1850 and lasted until 1866. A second Reich, or German Empire, was formed in 1871, and the Jews of England waged war against it and destroyed it in 1918. The Russian czars began to cede a portion of their authority to the people in the 1860’s, with the introduction of the zemstvo, and within 50 years a parliamentary provisional government was formed, which was the immediate stepping-stone to Bolshevism. This is exactly what the Protocols mean by “a bad organization of authority” and “rulers who have lost their personality amid the flood of rights ever multiplying out of liberalism”. Under the concept of Liberalism, once a distinct group can be identified within a population, it may then be imagined to have peculiar rights, and the group can agitate, or perhaps others can agitate on behalf of the group, until it obtains political advantages on account of those perceived rights. The Jews who wrote the Protocols express this in its doctrines, and they use their control of the media to identify or even to create such groups, campaigning for their rights through the media until a portion of political power is relegated to the particular group through legislation. Where there is no group, through the media they can create such groups. Or through their power of money, when they want to create divisions in any State they can even purchase the creation of such groups. Then the Jewish media, in collusion with the agitators, gives the selected group publicity far beyond the attention which it merits. This is how the abolitionist movement began, this is how the suffrage movement was popularized, then the prohibitionists, then the civil rights and hippie and anti-war movements of the 1950’s and 60’s, all the way to the deviant sodomite and minority-interest movements of today. All of these so-called social revolutions had Jewish financial backing, Jewish agitators and Jewish media coverage to create an alternate perception of reality and public opinion, through which the few could overcome the many and move the nation in the that the Jews want it to go. The so-called Black Rights Matter movement is a perfect example of how this works. There is documentation which leaves no doubt that the leading characters are bankrolled by the Jew George Soros, while the Jewish media promotes the movement and gives its leading agitators political legitimacy and even glowing approbation, even though in reality they are nothing more than thugs and criminals. The Jewish media takes dead criminals and promotes them as heroes and saints, when the bare facts of the cases they champion are completely ignored, all to advance the political interests of those same thugs and criminals. But none of this is new. This is how the Jews have subverted Christian society for well over two hundred years now. The methods are continually updated, but they always have the same structure. There are other complications, especially in the subversion of the Christian religion, which have only helped to accommodate this basic pattern. This is why, when we presented this portion of the Protocols in our previous segment of this series, we took a long digression to explain that the newspapers especially, since our primary topic is from the late 19th century, but now also the far more ubiquitous electronic media, actually create public opinion rather than observing and reporting public opinion. 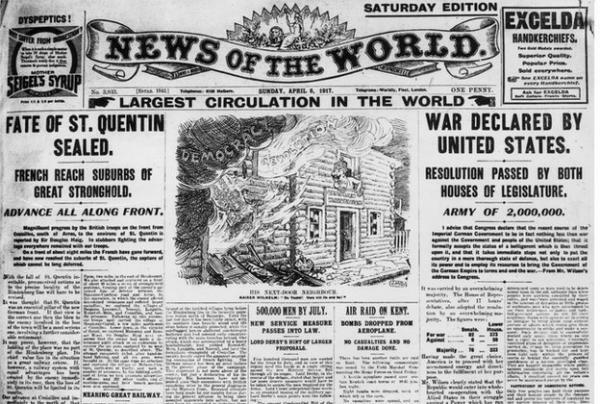 We also began to demonstrate that Jewish interests controlled the leading newspapers of the major countries of the West by the time that the Protocols were published. When the rulers of Christendom ceded their powers to the masses of the people in the name of Liberalism, the Jews who controlled finance and the media already understood that they themselves could step into the positions which the rulers had vacated, and they did. So we documented and discussed the Jewish control of both the German and major American newspapers since the late 19th century. Now we are going to continue that digression, and illustrate the Jewish control of the English newspapers from that same period. So here we are going to present a booklet published first in 1937, and updated and republished in 1939, entitled Jewish Press-Control, The London Newspapers. To some of our long-time listeners, this may be tedious, but we feel that in the end it will all be worthwhile, so please suffer it along with us. (Second Edition, Revised September, 1937). (Third Edition, Revised August, 1939). In democratic countries, the transmission of news to the public is controlled by the Jewish Money Power to such an extent that hardly anything unfavourable to the Jewish interest is allowed to appear in a Journal. The News Agencies themselves are controlled by the newspapers themselves in co-operation, with the exception (1939) of the Central News Agency, the control of which is secret, the majority of the shares being held by bank's nominees; nowadays at least, the power of the Big Advertiser is available to crush, by boycott, any attempt on the part of an otherwise incompletely controlled newspaper to present its readers with some of the undiluted truth. In this article, however, we deal only with the direct Jewish influence in our newspapers, which are quoted abroad in foreign Jew-controlled papers as reflecting British public opinion; the past history is at least as important as the present, as it is the past propaganda which has produced the present confusion of thought. "The daily political Press of Europe is very much under the dominion of Jews.... If any literary opponent ventures to endeavour to arrest the progress of Judaism to political power, he finds himself.... exposed to attack after attack in most of the leading Journals of Europe.... I never pass by a crowded reading-room, but what I think I see, standing behind the scenes, a Jew, causing new ideas to rise and stir and develop themselves in the unsuspecting mind of the Gentile." (pp. 111-112). Mark that word, "unsuspecting," for the Crypto-Jew with a British name is usually the kind we meet with in journalism. On 26th July, 1879, The Graphic which had then been ten years in existence, stated "The Press of the Continent is to a large extent in the hands of the Jews." The Graphic should know! As an instance of what can be accomplished by means of Press-control, we may instance the fact that Litvinoff, a criminal Jew who represented the Jewish Soviet of Russia, whose officials murdered the Tsar and his family, and who are responsible for about twenty million deaths of Russian Gentiles, can walk in the funeral procession of our beloved late King George V. because "public opinion" has been guided by the Jew-controlled Press to regard the Bolshevik murders with complacency. 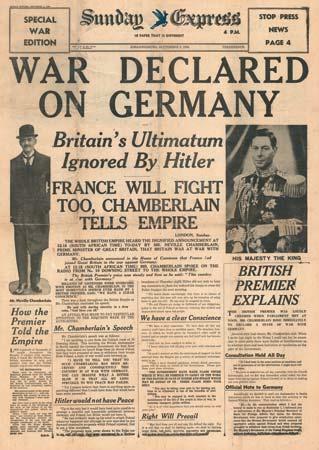 In the same way Britain is being gradually prepared, by constant misrepresentation of facts, to look upon the great spiritual leader of Germany, Herr Hitler, as a barbarian and a madman, in the hope that this country may be used once again to fight its own kith and kin in Germany so that Racial Fascism shall be destroyed. Particularly in the Spanish Civil War, the British people were completely misled by the tone of the "news"; dished out to them by the daily and weekly press; almost everything favourable to Franco was suppressed, whilst the bloodthirsty Jewish Red leaders might never have existed at all for anything that was reported of them; practically the whole British Press took part in a conspiracy to disguise Jewish Bolshevism as "democracy." In the News Chronicle, 14th Sept., 1937, Hitler's statement that Russia was a victim of a handful of Jews was presented to its readers with the word "Jews" illegible, although the whole of the rest of the page was beautifully printed. In a letter to the Leader of the Imperial Fascist League, dated 26th June, 1937, General Franco said he was "aware of the propaganda that is made through the Jewish press which deceives your noble country, preventing the realisation of the true character of this war, which is nothing less than one for the defence of western civilisation." In the Jewish Chronicle of 14th Nov., 1930, Jew-control of the Press is admitted in the following words:– "With reference to the unfriendly criticisms of Jewry by certain newspapers in this country with regard to the Government polity in Palestine, it may interest your readers to remind them that in an address some years ago, Lord Beaverbrook alluded to the fact that American Jewry were so powerful that the big businesses controlled by Jews there, by withholding their advertisements were able to combat an anti-semitic attack in certain organs of the American Press." An example of this in England is the case of the National Graphic. On 16th June, 1932, this paper devoted two columns to the activities of the anti-Jewish worker, M. Coty, against the Jewish financiers, and gave the impression that it was not inclined to dismiss M. Coty's charges with ridicule. Three weeks later, the National Graphic attacked the British Broadcasting Company on account of the number of aliens [meaning Jews] employed in broadcasting and in other capacities, and remarked that the policy of Sir John Reith might well be the object of a searching enquiry. 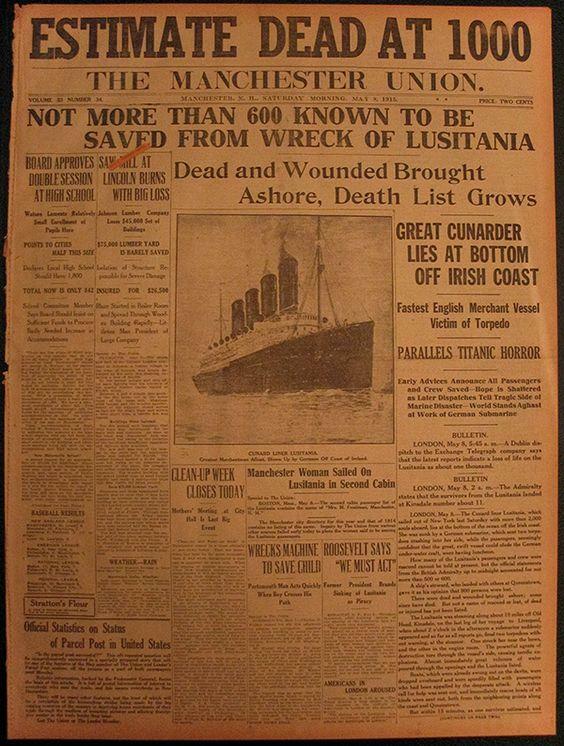 The next issue, dated 14th July, contained only eight pages of advertisements. On 15th July, the National Graphic ceased publication. Chambers Encyclopedia, 1901, Vol. VI., says "Another extraordinary and well authenticated fact is that the European Press, no less than European Finance, is under Jewish control," but goes on to say that the effect of this has been greatly exaggerated. Sir J. Foster Fraser, in The Conquering Jew, 1915, writes "Few things are more remarkable than the way the Jews control the Press in New York, London, Paris, Berlin, Vienna." (He is pro-Jewish). The Jewish poet Bialik, in an address given to Jews at the University in Jerusalem on 11th May, 1933, said "Not in vain have Jews been drawn to journalism. In their hands it became a weapon highly fitted to meet their needs in their war of survival." Note the words "their needs" and "war." Even the reference books which journalists must necessarily consult are Jewish with a perpetual Jewish bias:– The Dictionary of National Biography had the Jew Sir Sidney Lee as Editor; the Dictionary of English History, the Jew Sir Sidney Low, who also wrote the twelfth volume of the Political History of England. The Encyclopedia Britannica, under the editorship of Mr. J. L. Garvin, who served on the political staff of the Daily Telegraph under the Jew Burnham-Lawson-Levy, and worked with the Jew Cowen on the Newcastle Chronicle, has a large number of Jews as Departmental Editors and Advisers. The Annual Register and the Statesman's Year Book are edited by the Jew M. Epstein; the Victoria County History by the Jew L. F. Salzman. Even The Times protested against the Epstein bias in the Annual Register for 1938 concerning the relations between Nazi Germany and Britain. Our review is not exhaustive; it is the custom of Jewish journalists to camouflage their names and origins more frequently than in most professions, and their identity is often difficult to prove. This newspaper was started in 1788 by John Walter, and has, with the exception of a short interval, been partly in the hands of the Walter family ever since. 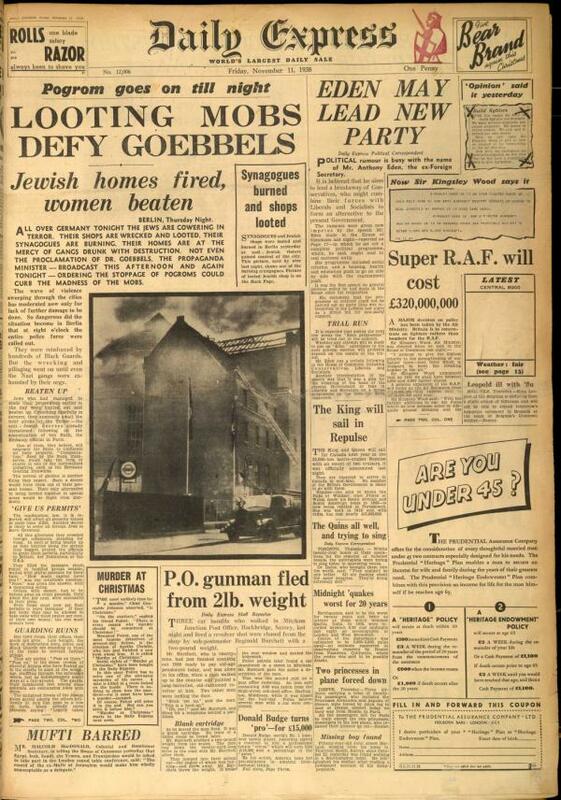 However, the paper was always under Jewish control after it had made its presence felt. Between 1841 and 1877, John Thadeus Delane was its Editor, and although we know of nothing wrong with his pedigree, he was an intimate friend of the Rothschild family and a constant and welcome visitor to their houses; so intimate that (quoting from The Times, 23rd Nov., 1926) the two Rothschild daughters, afterwards Lady Battersea and Mrs. E. Yorke, often rode with Delane in Rotten Row, as well as in Buckinghamshire, "and he took a kindly interest in their lessons." From the Rothschilds Delane took his orders. From 1850 to 1854, Samuel Phillips, a Jew, was Chief Literary Editor, under Delane. This Jew had been helped by Sir Moses Montefiore and the Duke of Sussex, and "became baptised in order to be able to enter Sidney Sussex College," (we quote the Jewish Chronicle Supplement No. 156, April 1934), the example of his Christian enthusiasm being followed by his son who actually became Private Secretary to the Archbishop of Canterbury, Dr. Benson. Money can do anything, provided those who wield it are completely devoid of social sense. In a circular letter dated 26th March, 1852, Samuel Phillips tried to influence the Provincial Press not to pin Lord Derby down to a pledge of Protection which "in the old acceptation, is gone, and cannot be revived." The Times correspondent during the Franco-Prussian War and the Commune was a Jew, de Blowitz. 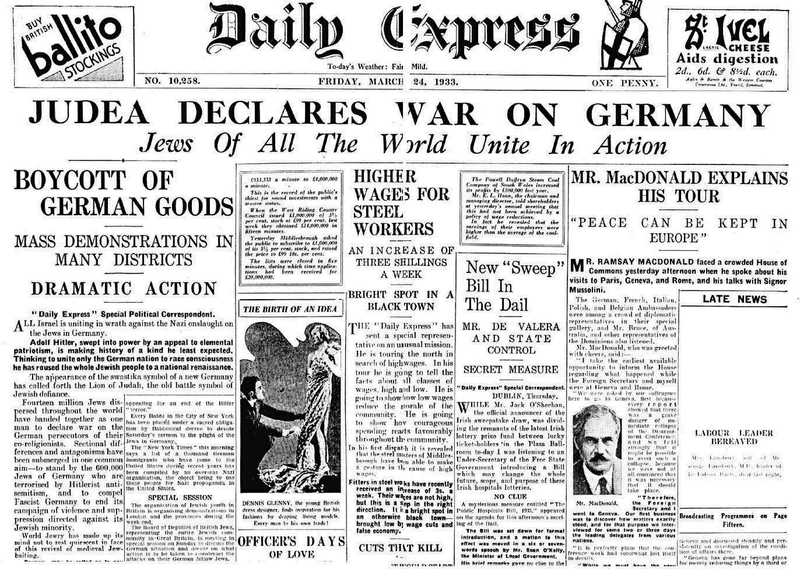 This man obtained an advance copy of the Treaty of Berlin when acting as Times correspondent at the Berlin Congress, so that it was published in The Times at the same hour that it was being signed in Berlin, an act of bad faith which was thought to be very smart journalism. Another Franco-Prussia war-correspondent of The Times was the Jew, A. Mels. 1877 to 1884 – Thomas Chenery, who came from Barbadoes, and was a great Hebrew scholar and Orientalist. 1884 to 1912 – G. Earle Buckle, under Rothschild influence (see "The Reign of the House of Rothschild," by Corti, 1928, Vol. II., p. 453), where it is shown how the Rothschilds had been urged by a Cabinet Minister to bring pressure to bear on The Times to induce it to modify its hostile attitude towards Germany during the Boer War in 1900. 1912 to 1919 – G. Dawson. 1919 to 1923 – H. Wickham Steed. The Assistant Manager 1890-1908, and Manager 1908-1911 was C. F. Moberley Bell, usually considered to be a Jew. On the Editorial Staff from 1899 to 1909 was the half-Jew Mr. L. C. M. S. Amery, who also edited The Times "History of the South African War," probably so that the Jewish cause of the War should be forgotten by the public. D. D. Braham, a Jew, was on The Times staff from 1897 to 1914, first as correspondent in Berlin, St. Petersburg and Constantinople, and then (from 1912) as head of the Imperial and Foreign Department, and a Director of The Times Publishing Co. He left The Times in 1914 to become Editor of the Australian Newspapers, Sydney Daily Telegraph, Forum and West Australian. He rejoined The Times staff in 1930. In 1908, the paper was taken over by a company, whose chiefs were Viscount Northcliffe, Sir John Ellerman (Jew) [Described as a Jew by Frankfurter Volksblatt, 4th July, 1938, and is married to a Jewess], H. Arnholz (Jew), and Sir Pomeroy Burton (naturalised alien of unidentified race, probably Jewish, who was formerly on the Editorial Staff of the Jew Pulitzer's New York World). Between 1911 and 1919, The Times religious articles were by Rev. S. K. Knight, Bishop of Jarrow, who was really a Jew called Kirschbaum. The Times to-day  is owned by Major J. J. Astor and one of the Walter family; the former is a Director of the Jewish Bank of Hambros; whilst the daughter of John Walter (who describes himself in Who's Who as chief proprietor of The Times) married in 1938 the son of the late coal-king of the late Czechoslovakia (the Jew Julius Petschek) the most powerful Jew next to Rothschild in that pro-Bolshevik country. The Hon. R. H. Brand, another Director of The Times Publishing Company, is Managing Director of the Jewish Bank of Lazard Bros. The other Directors of the Times Company are also associated with Jews on the Directorships of Companies. The present Editor of The Times is Mr. G. Dawson, who used to call himself Robinson. He was formerly Editor of the Johannesburg Star, a Jew mine-owners' paper; and has been Private Secretary to Viscount Milner [the British politician most responsible for leading England into the Boer War.]. His diplomatic correspondent is a Jew, Poliakoff, an intimate friend of the Zionist leader Chaim Weizmann, and whose pen-name is Augur. The Assistant-Editor of the Educational Supplement has, since 1919, been Mrs. A. H. Radice, whose mother was a Jewish D'Aguilar. The Times' Historians' History of the World was revised by the Jew A. S. Rappoport. The City Editor of The Times between 1905 and 1910 was Mr. Hartley Withers, an ex-employee of the Jew firm Seligman Bros., and now Editor of the Jew-owned Economist. This paper was bought in 1855 by the two Jews, J. Moses Levy and Edward Levy Lawson; the latter became Viscount Burnham, and on his death The Telegraph was carried on until 1916 by his son. The first Viscount was President of the Royal Institute of Journalists, 1886; the second Viscount occupied the same position in 1910, and was President of the Empire Press Union, and also, in 1920 and 1923, President of the Imperial Press Conferences. Among the leader-writers of this Levy regime have been David Anderson, Jew, who also wrote for the Jewish Chronicle; and P. P. Benny, Jew, once private secretary to Sir Moses Montefiore and connected with The Jewish World. In 1927, the Levys (Burnhams) sold The Telegraph to the Berry brothers. Now the Berry brothers have had between them no less than three Baronies. But Burke's Peerage gives only the names of their parents, and no clue to their race; they deny any Jewish blood. The titles of the Barons are Buckland (extinct), Camrose and Kemsley. The eldest son married the daughter of a Ralli whose stepfather was Lewis Einstein; the second son married a Rothschild. Two of Baron Camrose's children have married into the family of the Birkenhead Earldom, which shows so clearly its descent from a non-Aryan Oriental, (Jew or Gypsy, we know not), named Bathsheba. With the Berry family in its newspaper undertakings is Baron Iliffe. The Berry-Iliffe (-Rothschild) combination is known as the Allied Newspapers, Ltd. The Telegraph to-day is still managed by a Jewish Lawson (Levy), but the Editor is Arthur E. Watson, whose father was an Aaron Watson, (? race). Its leader-writer for foreign affairs was the Jew Professor M. A. Gerothwohl, their "diplomatic correspondent." One of the Assistant Editors is the Jew O. Pulvermacher who had been 32 years on the staff of the Daily Mail. Established and maintained by the Harmsworth family (Lords Northcliffe and Rothermere). It now belongs to Associated Newspapers Ltd., which is governed by the Daily Mail Trust. On the latter, besides Harmsworths, are Sir S. Hardman Lever (from whose ancestry nothing has yet been established definitely by us as to race), F. A. Szarvasy (a Jew from Hungary with long commercial and banking tentacles), and others. The Editor from 1899 to 1926 was Thomas Marlowe, who married the daughter of the Socialist "intellectual" John Morrison Davidson who was always politically associated with subversive Jews. In 1913-14, the Sub-editor was the Jewish H. V. Morton [Henry Vollam Morton]. For thirty-two years, The Mail had the Jew O. Pulvermacher on its staff, he becoming Chief Sub-Editor, Night Editor, Assistant Editor, and in 1930 Acting Editor. He handled the War news of The Daily Mail in the Great War. The News Editor, 1900-02 was the Jew R. D. Blumenfeld. The Financial Editor until recently has been the crypto-Jew H. A. Meredith. One of the special writers and correspondents has been the Jew B. Falk. The Jew Sir S. Low, from 1923-30, spent one month every year with The Daily Mail, during which he was responsible for the leading articles. In this Jew's biography it is stated that he had "the unique privilege of walking into the sanctums of Cabinet Ministers and receiving the fullest permission to make what extracts he thought fit from their private diaries." We suppose this sort of thing commanded a good remuneration from any daily paper! And Sir S. Low was the uncle of Madame Litvinoff, wife of the Jewish Foreign Minister of the Soviet!! At present (June 1939) the Mail is under the control of Lord Rothermere's son, Esmond Harmsworth, and has moved decidedly to the left. This belongs to Lord Beaverbrook, chief shareholder in its official owning company, London Express Newspapers Ltd.; his son is a Director in the Jewish Deutsch-controlled Odeon Theatres, Ltd. The Chairman is the Jew R. D. Blumenfeld. In 1921, the shareholders included Sir Ernest Schiff, E. Kessel, and F. G. Lindl. Since 1904 until recent years, the Editor has been the Jew Blumenfeld. The present Editor is Mr. A. Christiansen [Arthur Christiansen, son of a Scandinavian shipwright]. For years up to 1934, the Chief Foreign Correspondent was the Jew H. J. Greenwall. The Jews S. A. Moseley and J. N. Raphael have been on the staff among many other Jews. William Hickey (real name Driberg) of this paper denies that he is a Jew; he wrote in Feb., 1938, in the New Times and Ethiopian News that in Spain it was General Franco, not the Reds, who attacked religion! If he is not a Jew, therefore, he is a good imitation. The leading Sports writer is the Jew H. Rose. "Beachcomber," who has been writing since 1924 for this journal, is a half-Jew, J. C. A. B. Morton. Another Jewish Morton (H. V. M.), was on the staff from 1921. The Assistant-Editor, 1919, was Capt. J. B. Arbuthnot, whose wife was the granddaughter of Bernal Osborne. This combined the old Daily News with the old Daily Chronicle. The Daily News belonged to a Quaker Emily Cadbury; it had a Jew, A. Kalisch, as Sub-editor in 1890 under a former regime, and became the mouthpiece of Lord Rosebery (married to a Rothschild). The Daily Chronicle was acquired in 1918 by the supporters of Mr. Lloyd George, including Sir T. Catto, the late Lord Reading's familiar; in 1926 the late Lord Reading (Jew) headed the Daily Chronicle Investment Corporation. The News Chronicle was owned until Nov., 1936, jointly by this last-named Corporation and the Inveresk Paper Co., Ltd. The D.C.I. Corporation holds United Newspapers Ltd., on the Directorate of which we find Sir H. B. Grotrian who is an important Freemason and whose son married a Jewess; and B. H. Binder (Jewish). The Inveresk Paper Co. worked under B. H. Binder (Jewish), and had J. H. Newcomb on its Directorate, who was also in the Jew Bank S. Japhet and Co. The News Chronicle is now owned by Daily News Ltd., and is again under Cadbury control. An early leader-writer was the Jewish R. H. Bernays. The Jew, Professor Gerothwohl was also a frequent writer for the paper, as is the Jew G. Edinger. On 25th Feb., 1939, the News Chronicle said "Anti-semitism is a curse of such a desperate character that we must direct all our energies to destroying it." It also admits that a number of Jews sit in the editorial departments of the Express and of the Evening Standard. Established in 1912, and soon developed under the editorship of Mr. G. Lansbury (married to a daughter of Isaac Brine – ? ), a "Jews' friend." This paper was early financed by the two Jews Baron de Forest and Baron von Horst, and the Jewish H. D. Harben with Countess de la Warr made possible the purchase of the paper by the Victoria Printing House Press. Under Lansbury, a Director of The Daily Herald received £75,000 from the Soviet Government of Russia, being the proceeds of the sale of Russian Royal jewels; Mr. Lansbury is said to have been unaware of this; his son, Edgar, received the money. The newspaper eventually refused the money and the Director resigned. The present Daily Herald (1929) Ltd., is dominated by the Jew Julius Salter Elias, of Odhams Press Ltd., and he is Managing Director. This Jew is now Baron Southwood. Odhams Press is in Jewish share-holding hands. From 1913 to 1922, The Herald was in the hands of Mr. Robert Williams, married to a Jewish Pearlman; its Leader-writer, 1915-19, and Associate Editor, 1919-22, has been Mr. Gerald Gould, married to a Jewess, sister-in-law of Israel Zangwill. In 1919, its Literary Editor was the Jew Siegfried Sassoon; Hannen Swaffer "of yeoman stock" has been on its staff from 1931; it has always supported the Jewish Soviet of Russia. The Advertising Director, A. Phillips; Director and Insurance Manager, N. Canter; Advertisement Manager, M. Poyser; all are Jewish. The "feature editor" is the Jew A. L. Easterman. Mr. George Slocombe, married to Marie Karlinskaya, is a mysterious individual who acts as Paris-correspondent; he has been a privileged onlooker to most of the international conferences since Versailles and we expect he knows how to spell Rothschild. The paper is devoted to Jewish interests and has on its Directorate the Jewish Sir Ernest D. Simon. A special correspondent 1917-1920 was Michael Farbman "born in Russia," and stated in "Plain English," 28-1-1922, to be Jewish. J. R. Scott, present Chairman of the Manchester Guardian Company, is also Director of the Jewish Company, Henry Simon Ltd.
From 1925-1936, the chief sub-editor was the Jew S. Salomon. Under the same ownership as Daily Mail. The Jew B. Falk has been one of its Editors. "Beaufort," its tipster, is the Jew R. Abrahams. Owned by Daily News Ltd. This paper is run by the Astor family (see The Times). It once belonged to the two Jews Lionel Lawson and Julius Beer; the latter's son, F. Beer, owned the paper from 1880 and edited it from 1894; he married a Sassoon and their wedding breakfast was at the house of Rt. Hon. W. E. Gladstone! Mrs. Beer was Assistant-Editor, and Editor in 1893. Gerald Gould (married to a Jewess) has been one of its literary critics. Since 1907, Mr. J. L. Garvin has been Editor; he once observed "The best exponents of Christianity are Jews" ("The Real Jew," by Newman, p. 9). The Editor is Sir E. Carr, a Director of Geo. Newnes Ltd., one of whose Directors married the late Lord Melchett's daughter. He is also a Director of the Western Mail with members of the Berry family. One of the two founders in 1877 was the Jew H. Sampson. This paper used to expose the Jewish Money Fraud of the Gold Standard, when Sir Oswald Stoll (whose real name is Gray, he having taken the name of his step-father) contributed to its columns. It was recently owned by the Jew I. Ostrer, of Ostrer Bros. Its Managing Editor until 1935 was Mark Goulden, Jew; he, and the Literary Editor (October 1935) accepted an article from Mr. Aleister Crowley, which, however, was not published. The Paris correspondent in 1910 was the Jew J. N. Raphael. The notorious and Jewish Madame Tabouis became a regular contributor. It is now merged with the Sunday Chronicle. The dramatic critic for many years was the Jew E. Morton. Under similar management to Daily Express. The Jew G. Edinger is a frequent contributor. This is a Harmsworth paper. See The Daily Mail. The Jew B. Falk was Editor from 1919 to 1930. "SUNDAY TIMES" AND "SUNDAY CHRONICLE." Now belong to Allied Newspapers Ltd. See The Daily Telegraph. The Sunday Times was once (1893-1904) edited and managed by a Sassoon (Mrs. F. A. Beer). Its Dramatic and Art critic 1883-1894 was the Jew M. C. Salaman. "Scrutator" of The Sunday Times is Herbert Sidebotham, a Zionist member of the British Palestine Committee, 1916. Established in 1881, it was edited for several years to the year 1900 by the Jew H. B. Vogel. It is now controlled by the Jew J. S. Elias (Baron Southwood) through Odhams Press Ltd. He is Managing Director of the paper. The Daily Mirror is controlled by anonymous bank nominees; The Daily Sketch (and also The Sunday Graphic) is a Berry-Iliffe paper (see Daily Telegraph). The Managing Editor of The Daily Sketch was once H. J. Heitner, and its Sub-editor, A. Freedman, both Jews. Founded with Jewish money by Horatio Bottomley, whose racial origin is still a mystery to us. His daughter married J. D. Cohn, a Jew, godson of Jefferson Davis, President of the Confederated States in America. It is now owned by Odhams Press Ltd., run by the Jew J. S. Elias (Baron Southwood). The name "John Bull" seems attractive to Jewish mongers of circumcised news, for it was the Jew S. Phillips who founded and edited a "John Bull" newspaper in the first half of the nineteenth century. In 1904, The Standard was sold to Sir N. A. Pearson who married a daughter of the Jew Lord Melchett; its Literary Editor was then the Jew Sir Sidney Low, already mentioned. In a speech in the House of Commons, Nov. 21st, 1938, Rt. Hon. T. Johnston, M.P., said: "At the outbreak of the last war, the Standard had to close its doors because the Austrian Embassy which had been surreptitiously financing it, could no longer make payments." The Jew Sir S. Low edited St. James's Gazette 1888-1897 when that paper was purchased by a Mr. Steinkopf; it also is defunct. The Westminster Gazette passed through the hands of an Astor and then to Sir G. Newnes [Here the author of our booklet speculates:] (is this name the Marrano one Nunes?) until in 1908 it was bought by the Jew Sir Alfred Mond. Sir C. Henry (Jew) was also interested in it. Its Editor from 1922 to 1928 was Mr. J. B. Hobman who married a Jewish Adler. The Echo had Sir Arthur Arnold as first Editor, and then passed into the hands of Baron Grant, an absconding Jew whose real name was Gottheimer. The Economist's chief shareholders (in 1934) included Rothschilds, Schroders and Sir H. Strakosch. The paper supports "sound currency" (Jewish restriction of the means of exchange with a view to holding it for ransom). Its present Editor is Mr. H. Withers who was once employed by Seligman Bros. The Financial News Company has Mr. B. Bracken as Chairman, who is Managing Director of the Jew-controlled The Economist. The Jew Paul Einzig is Foreign Editor. The paper first made its appearance under the Editorship of the Jew H. H. Marks in 1884. The Illustrated Newspapers Ltd. (controlling the Illustrated London News [still published], The Sketch [merged with The Daily Graphic in 1946], The Sphere [closed 1964], The Tatler [still published by Condé Nast], The Bystander [merged with The Tatler in 1940], The Graphic [closed in 1932] and Eve [the fate of this publication is ambiguous]) has (August, 1937) been bought by the two Jews, Sir J. Ellerman and Baron Southwood (J. S. Elias). These papers vie with one another in photographic representations of our new slant-eyed and Armenoid "aristocracy," so that the public will get used to them and see nothing alien about them. The Editor of The Sphere since 1926 has been H. J. Heitner (Jew). The News Review is controlled by the Jew Korda, and is connected with Odhams' Press. Cavalcade is edited by the Jew Mark Goulden; Picture Post by the Jew S. Lorant. This booklet was posted by The Imperial Fascist League at 30 Craven Street, London, in 1937 and 1939. Before presenting it here this evening, we were able to check much of it for accuracy. We will attach a facsimile to the transcript of this podcast. While the Jewish connections mentioned in relation to some of the newspapers listed here are tenuous, for instance, it is unlikely that George Newnes was a Marrano Jew named Nunez, the great majority of the connections listed are valid, and the more prolific newspapers and publishing companies certainly had the strongest connections to Jews in both their ownership and their operation. There should be little doubt upon examining this evidence, that from the end of the 19th century, and in many cases earlier than that, Jews had a great deal of influence over the people of Britain by their control of the print media and the positions they occupied in the newsrooms and on the editorial boards of every prominent British newspaper. For that reason, we see the exuberant confidence that the authors of the Protocols profess in their ability to maintain their rule over the people. The ninth period extends from 1755 to the present time. Encouraged by the spirit of the 18th century, Moses Mendelssohn (q.v.) opened to his co-religionists a new era, which, as in the middle ages, first manifested itself in the national literature. Its character, contents, expression, and even its phraseology, were changed. Poetry, language, philology, criticism, education, history, and literature have been earnestly cultivated. The sacred books have been translated by them into the languages of modern Europe, and foreign works into Hebrew; and many of this once proscribed and detested race have taken an important part in the public and scientific life of Europe. Among the many illustrious names of this last period we can select only a few like Mendelssohn, Maimon, Ben Zeeb, Heidenheim, Rapoport, Krochmal, Zunz, Jost, Geiger, Fürst, Sachs, Z. Frankel, Steinschneider, Graetz, .Jellinek, Philippsohn, Munk, Salvador, Reggio, S. D. Luzzatto – chiefly cultivators of literature with reference to their own creed and nationality [so these Jews are lauded to “Gentiles” merely for writing about Jews, or things Jewish things]. To enumerate names of those who were and are illustrious in general literature, in law, philosophy, medicine, philology, mathematics, belles-lettres, &c. we cannot even attempt, since there is not one country in Europe which does not count Jews among the foremost and most brilliant representatives of its intellectual progress. [MFR PERCEPTION] Of Germany – considered to be in the vanguard of European learning – Bunsen said that the greater part of the professors at its universities and academies were Jews or of Jewish origin (Neander, Gans, Benary, Weil, Benfey, Stahl, Dernberg, Valentin, Lazarus, Herz, Steinthal) – certainly a most startling fact. Oppert, Darmesteter, Bernays, Sanders, Karl Marx, Lassalle, Emil Franzos, Crémieux (q.v. ), Jessel, Sylvester, Meldola, Emma Lazarus are likewise eminent names in literature, law and science; while in finance, statesmanship, and philanthropy [as if charity was an actual vocation, and not a way for Jews to skim money taken from others] the names of Rothschild (q.v. ), D'Israeli, Montefiore (q.v.) are universally familiar. Another extraordinary and well authenticated fact is that the European press, no less than European finance, is to a great extent under their control while, on the other hand, names like Heine, B. Börne, Berthold Auerbach, Henriette Herz, Jules Janin, Felix Mendelssohn-Bartholdy, Halevy, Meyerbeer, Moseheles, Joachim, Ernst, Rubinstein, Wieniawski, Grisi, Braham, Giuglini, Da Costa, Rachel, Davison, Bendemann, besides hosts of others less familiar to English ears, who shine in all branches of art – music, sculpture, painting, without sense for the drama, &c. – show plainly how unjust is the reproach of their being an ‘abstract’ people, without sense for the bright side of life and the arts that embellish it. Briefly – they are, by the unanimous verdict of the historians and philosophers of our times [which Jewish money also purchased], reckoned among the chief promoters of the development of humanity and civilisation. What has been their reward we have seen. Happily the growth of religious toleration [which Jewish money also purchased], which is the distinctive feature of the present age, has changed all this. In every country to which modern civilisation has penetrated the Jews now enjoy, if not the full social recognition which is accorded to them in England and France, all ordinary civil and political rights. Russia and Roumania alone, among western peoples, still maintain towards them an attitude of medieval barbarism. But so anomalous a condition of affairs cannot long continue, and the time is surely not far distant when even in these countries they will be accorded a fair measure of the rights of humanity. The publishers of Chambers Encyclopedia, William and Robert Chambers of Edinburgh, Scotland, are said to have been “born into a rich, mill-owning family in Peebles in Scotland in 1800 and 1802 respectively”, but it is also said that the family went bust during the war with France. So they too began with a newspaper, founded in 1832. The first edition of their encyclopedia was merely a translation of a German encyclopedia, the forerunner of the still-noted Brockhaus Enzyklopädie. Now this is published in 1901, and although it was evidently carried over from an older edition, the article on Jews found in Chambers Encyclopedia was written by Jews, as it is attributed to Isidore Harris, who sometimes used the title “Reverend”, and Emmanuel Deutsch, a Jew and a so-called “Semitic” scholar (which seems to be a euphemism for rabbi). It is reported in The Literary World, Volume 42 on page 547 under the date for December 26th, 1890, that Harris and Deutsch collaborated on another article of Jewish interest, titled The Jews in Russia. The same section magnifies the virtues of Chambers’ Encyclopedia. So there is no wonder that this article found in the same encyclopedia sounds like an advertisement extolling the benefits of having Jews in society. This by itself is a testament of Jewish influence, that such a panegyric was shamelessly published in an otherwise scholarly encyclopedia. After Emmanuel Deutsch was dead, Isidore Harris wrote a book titled History of Jews' College: November 11th 1855-November 10th 1905, in which he explains that one of the Rothschilds acquired Deutsch’s books for the library of that college. In the back pages of that book there is a listing of the of the college staff accompanied a by short autobiography for each, where it becomes clear that Isidore Harrisis indeed a Jew, and that he used the title “Reverend” because he was “Minister, West London Synagogue of British Jews (appointed 1881)”, and also a minister of the North London synagogue from 1874 to 1881. The Chambers Encyclopedia article on Jews is listed as one of his publications. So we see that one problem raised in the booklet on Jewish Press control is corroborated, as Jews used British names, and their rabbis even used British Christian-sounding titles such as “Reverend”. In our next segment, we promise to return to the Protocols themselves.